Mr. Trump has got to stop taking advice from Democratic pundits and news people. He should have hammered Hillary Clinton on Benghazi, her war room to attack Bill’s ‘bimbo eruptions,” and other points that the debate moderators will never address. The woman is a liar-in-the-first-degree and yet Holt treated Trump as if he were the liar.” – Former police interrogator and intelligence operative Anthony Magnusco. 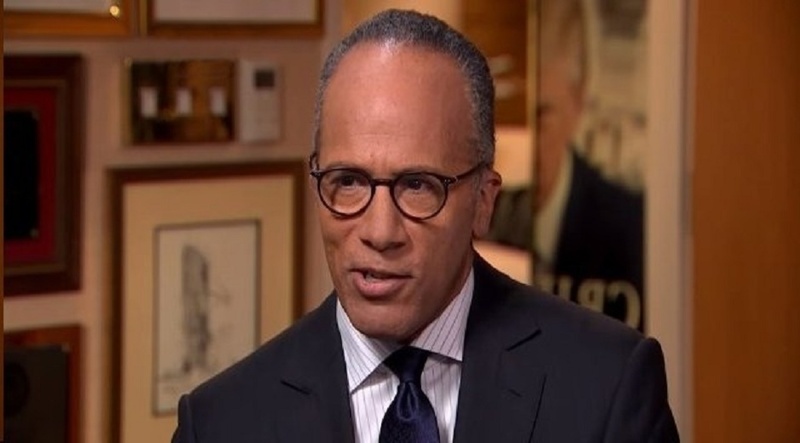 Many predicted NBC moderator Lester Holt — whose history of softball interviewing of Hillary Clinton proves his political leanings — would pull a Candy Crowley* by fact-checking Donald Trump, while letting Hillary Clinton say whatever she liked without interruption. Despite Hillary Clinton being evaluated by a majority of the American public as “dishonest,” and being investigated by the FBI whose director said Clinton was careless with national security, this proved not only to be completely predictable, but it happened four times. “Last night’s first Presidential Debate of the 2016 election cycle between Hillary Clinton and Donald Trump was 100% rigged to sabotage the Republican Presidential nominee. We can say that with definitive certainty. How? Well, we told you exactly what was going to go down at the debate 28 days ago, step by step. Almost tactic by tactic,” said officials at fact-checker True Pundit. True Pundit, on August 30, published Confessions of a Former Hillary Clinton Campaign Operative, which unveiled the mainstream news media’s script for the debate strategy to minimize Trump via debate moderator. “The fix was in weeks ago. 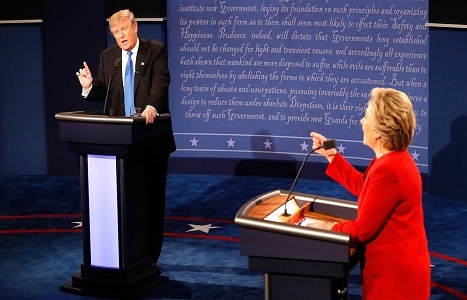 We were the only media in the country to pinpoint how Monday’s debate would be heavily manipulated in Clinton’s favor at the expense of Trump,” True Pundit said today. “Yes, we’re patting ourselves on the back. And yes, we said this all in August. True Pundit readers were quick to note on Twitter after the debate that Lester Holt did exactly what True Pundit predicted he would do a month ago via intelligence received from a former Clinton campaign guru. According to True Pundit, *Hillary is already being coached for the Sept. 26 Presidential Debate. But the Democratic strategy is bizarre. Her handlers do not think she will respond well to stressful questions or rhetoric so Hillary is memorizing canned answers that may not even directly address the subject or question. Why is this a viable strategy? We’re told this will work because the moderators will not redirect Clinton or cross examine her original answer to a question, regardless of her answer. This has been negotiated. So Hillary is free to pontificate without being called on her verbal nonsense, regardless of topic or content. Must be nice. You can bet no such agreement is in place for Trump. *During 2012’s debate between Barack Obama and Mitt Romney, moderator Candy Crowley interrupted Romney and told him he was wrong and Obama was right regarding his calling Benghazi a terrorist attack. The next day, Crowley apologized for being wrong but it was too late — millions heard her lie to help Obama. Lester Holt is despicable and we already knew Killary is world class in that department . It looked to me like Hill was given the questions in advance, giving her time to prepare the needed answers which were lies as big as holes in Swiss cheese ! Trump was not at his best in this debate,far from it BUT he still was far and away better than Hillary. He told the truth in answer any questions and hopefully most voters realized this. Killary one the other hand is….well, Killary the Queen of Benghazi ! So why didn’t Trump’s people know what was happening. Also, there is video of an object low on Hillary’s back with a wire running up the back of her jacket. It has been on FOX news today. So why isn’t someone screaming FOUL? They will steal this election for their chosen one just like they did for Obama. They want a Communist puppet in order to fulfill the UN’s plan for global Communism (Globalism). How come hilliary had the questions prior to this debate? We all know that Hillary is the most dishonest and corrupt democrat to run for President ever. I just wish that MILLENNIAL voters would wake up and that Trump would not have worried about Chelsea being present. We all know she’s no choir girl. Holt’s obvious bias and prearranged agreement with Clinton only served to focus the attention on her complete lack of trustworthiness and her devious actions. Americans know she is a liar and both physically and mentally UNFIT for office.. We all saw what happened last night. I believe that by being himself and being honest he only highlighted her utter dishonest, EVIL, ugly, lying, nasty, personality and complete lack of character. That is…IF you were paying attention. I personally can barely stand to listen to a word she says. I normally hit mute whenever I see her speaking. Anyway I think TRUMP scored in that he appealed to true Americans, and I think he will be wiser for the next debate. So hopefully the moderators cannot put the fix in.